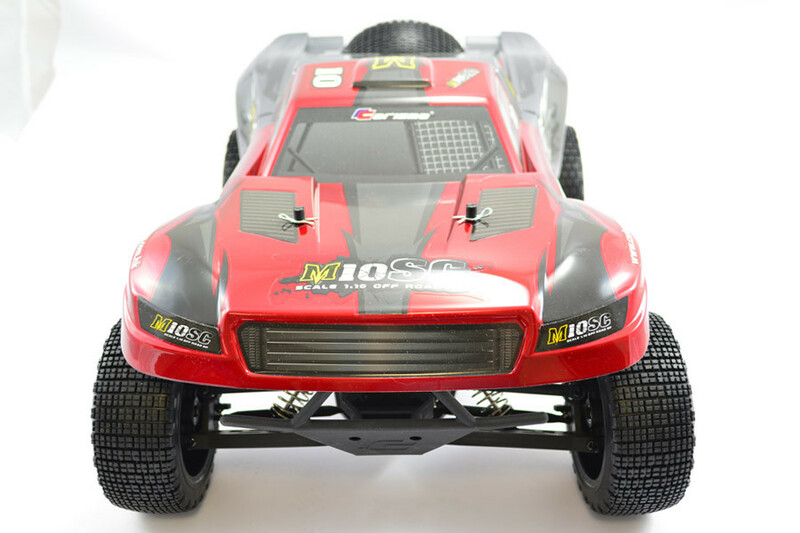 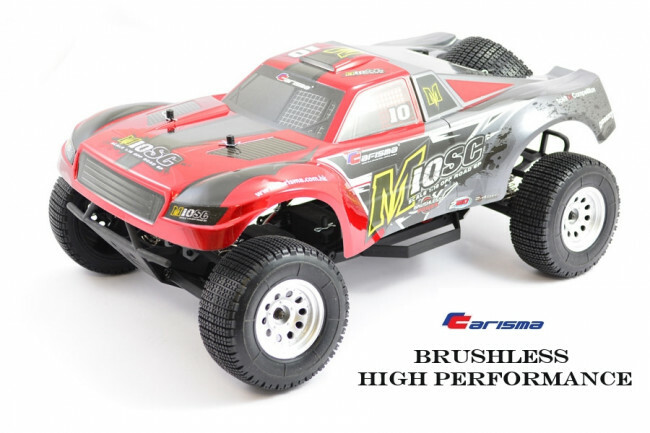 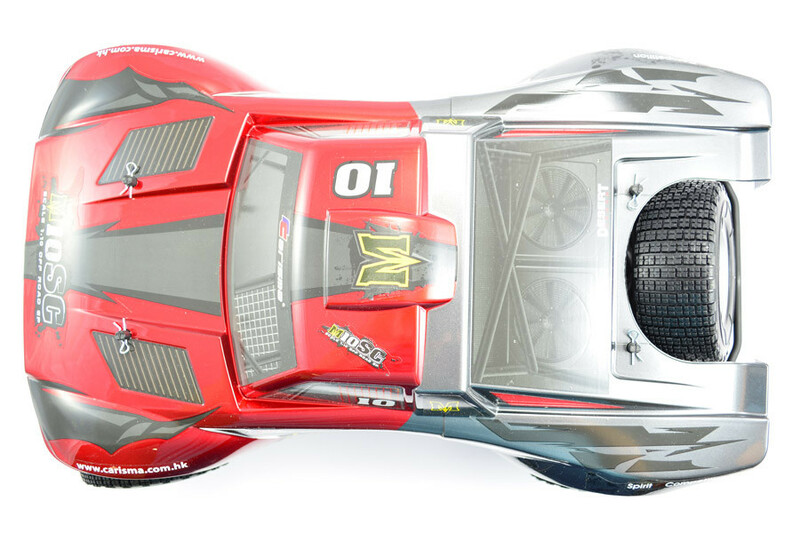 Carisma M10SC 1:10 Brushless Short Course Truck Ready Set - Special Offer! 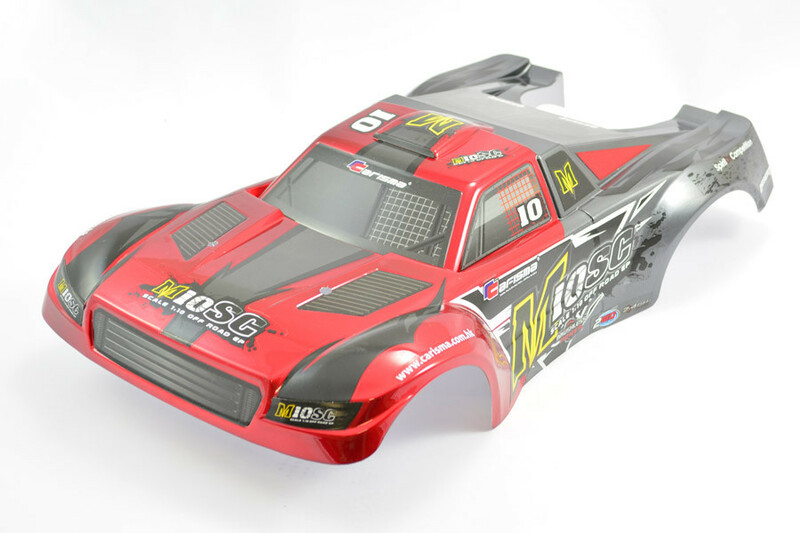 Huge Saving on SRP of £214.99. 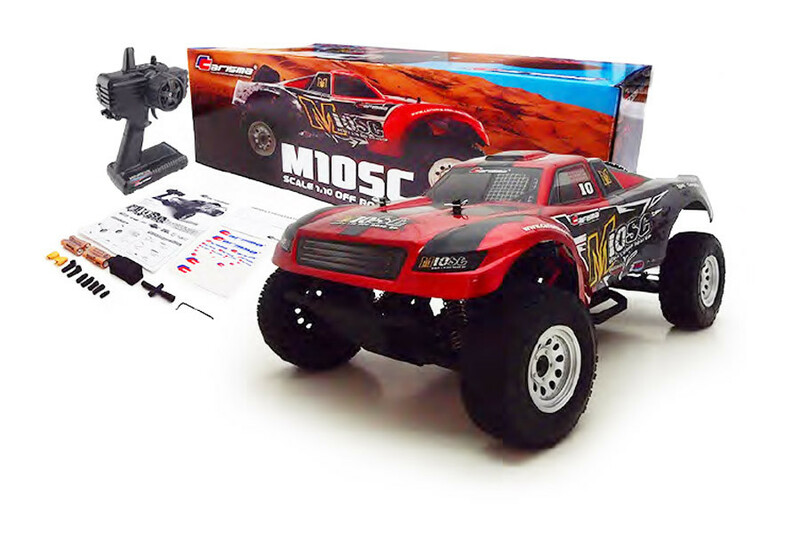 Limited stock - grab yourself a bargain at this crazy price!! 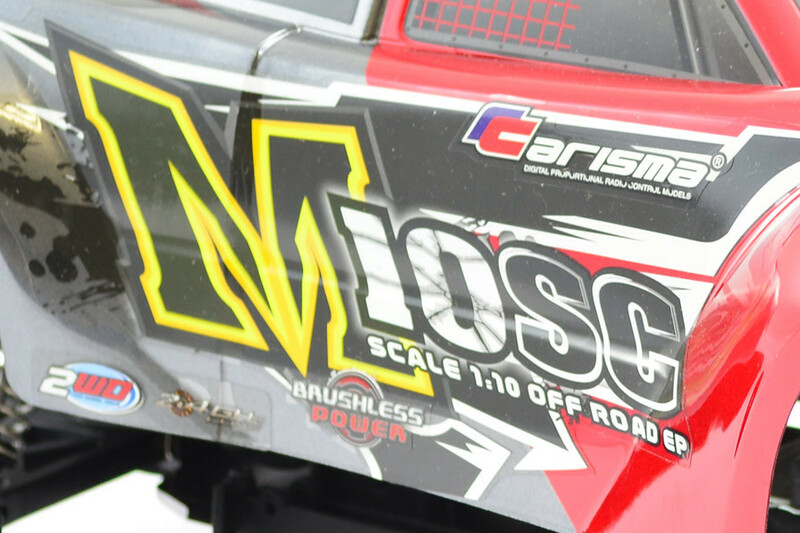 With aggressive styling the M10SC Trophy style truck is sure to stand out from the crowd. 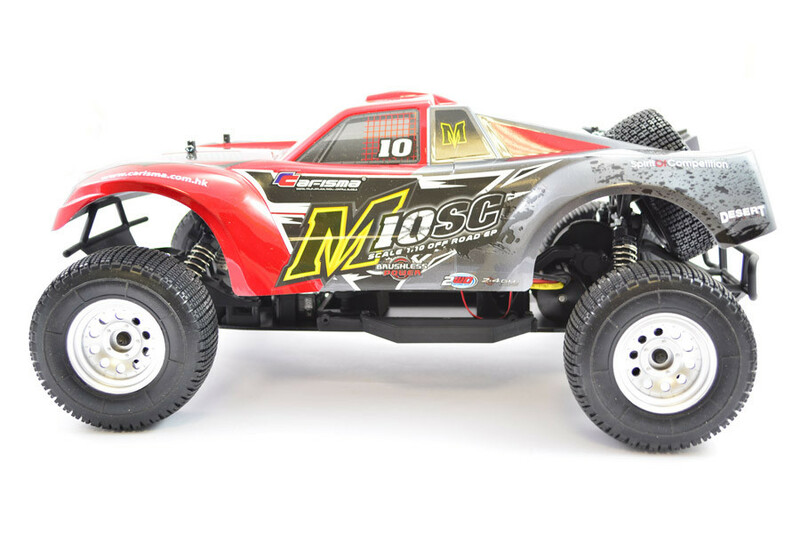 Based on Carisma’s 2WD mid-motor platform, the M10SC is a great way to enjoy fast off road performance whatever the conditions. 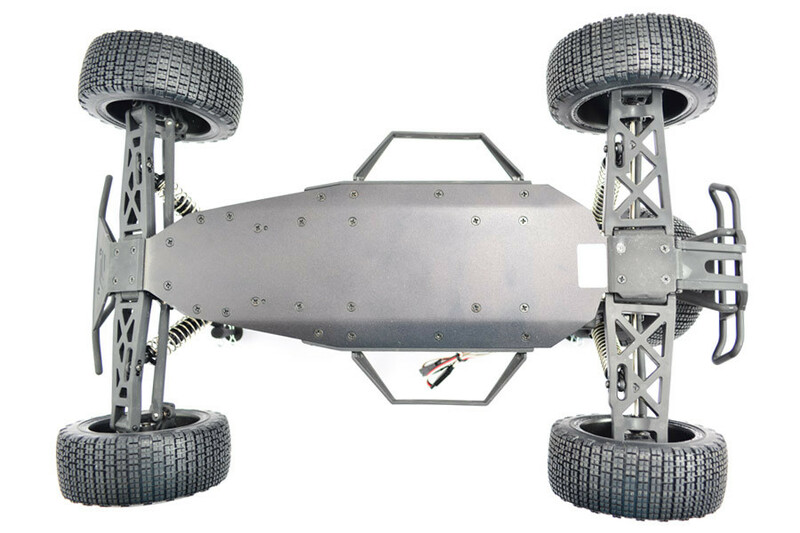 This chassis design features an aluminium main chassis with protective moulded bumpers front and rear, as well as side nerf bars. 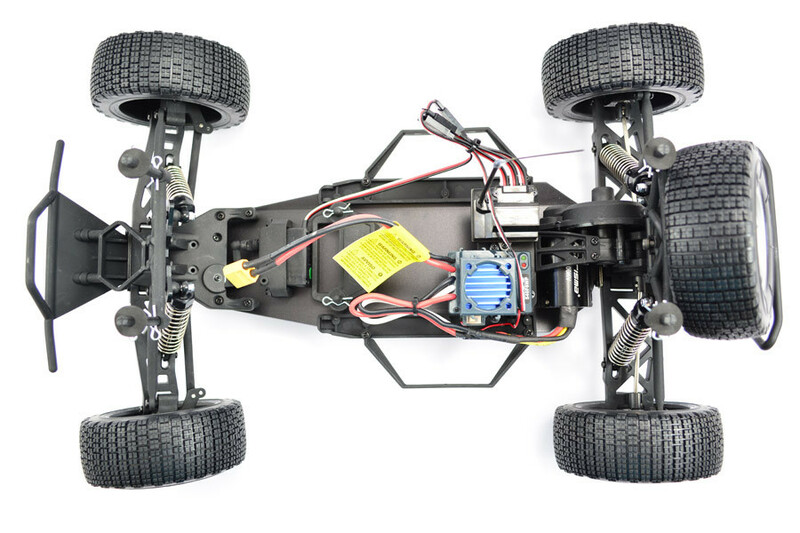 The mid-motor gearbox includes a full metal differential for maximum reliability, along with an adjustable slipper clutch. 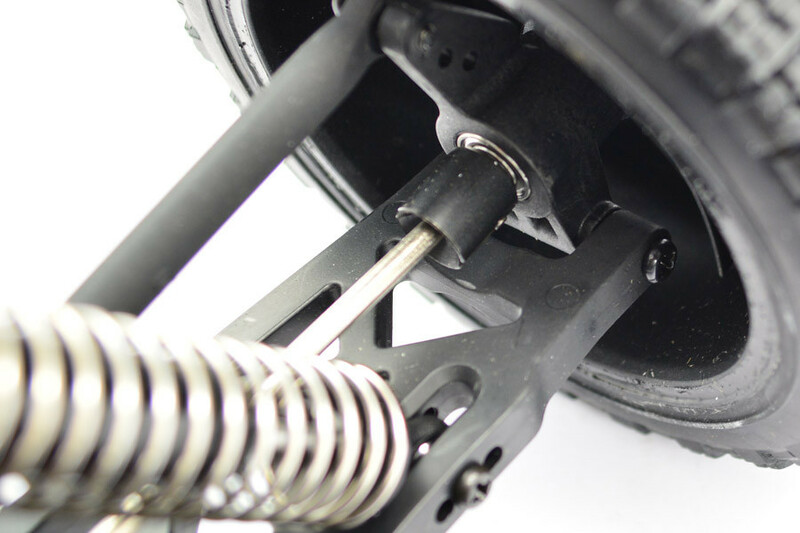 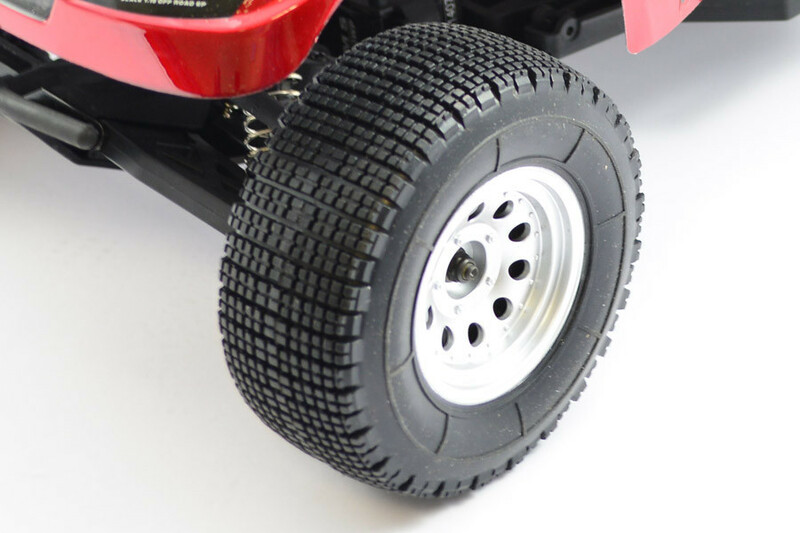 Drivetrain is ball bearing supported, along with front ‘live’ bearing axles that accept 12mm hex fit wheels. 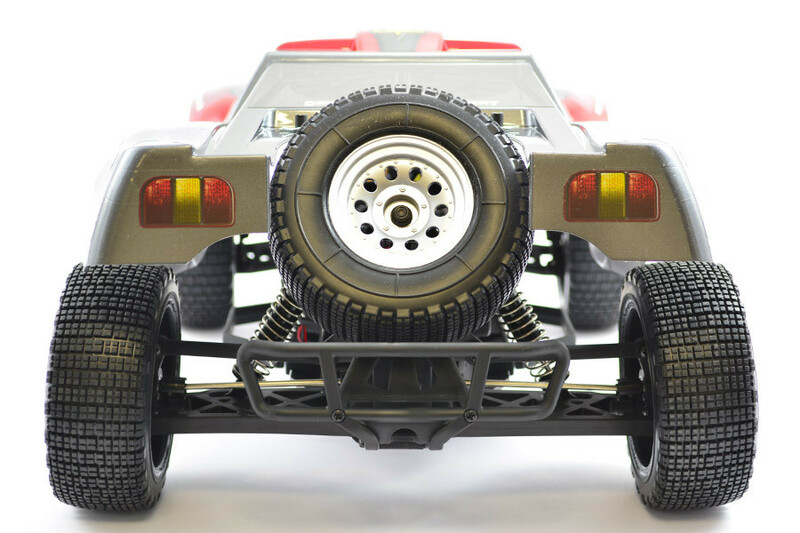 Wide track suspension front and rear is handled by oil filled shock absorbers. 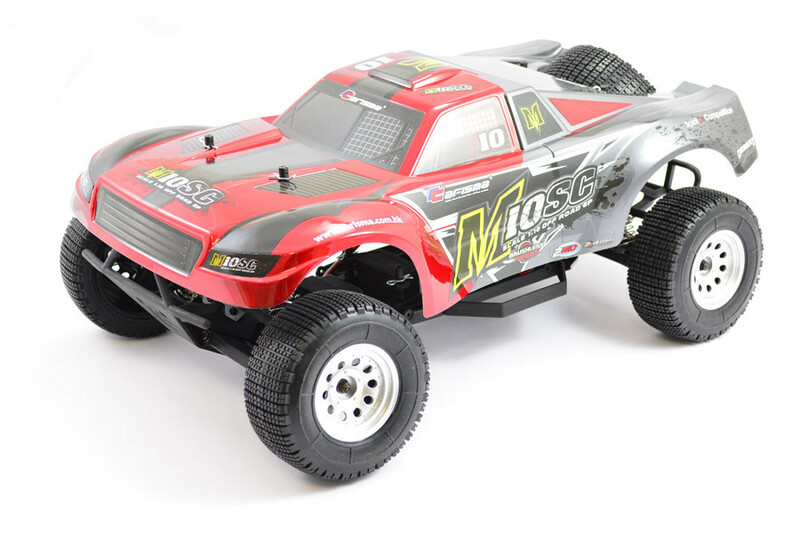 The M10SC Truck comes standard with a water resistant brushless speed control, water resistant steering servo and a water resistant receiver box and receiver. 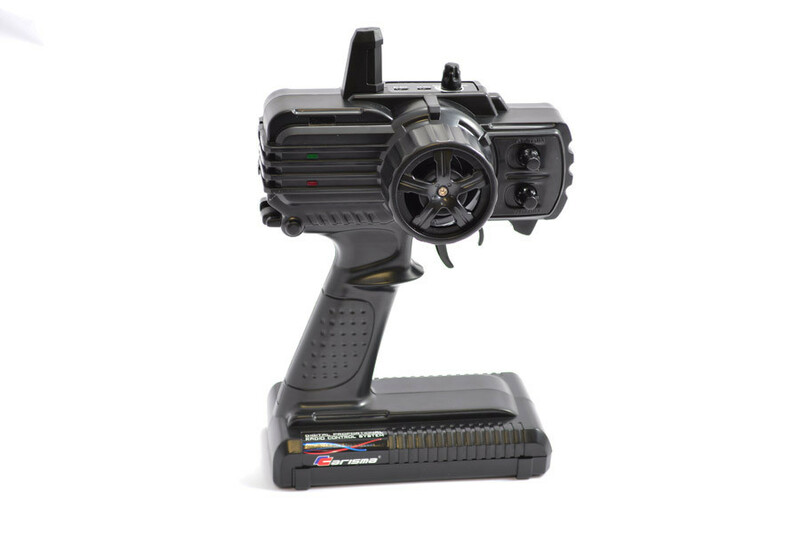 A 540 brushless 3000Kv brushless motor provides exceptional power and everything is controlled by Carisma’s own 2.4GHz radio system. 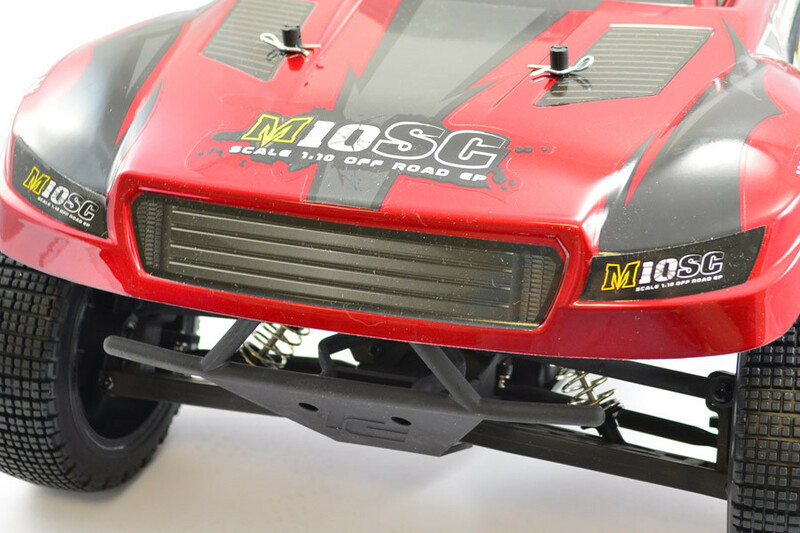 XT60 connectors are also included. 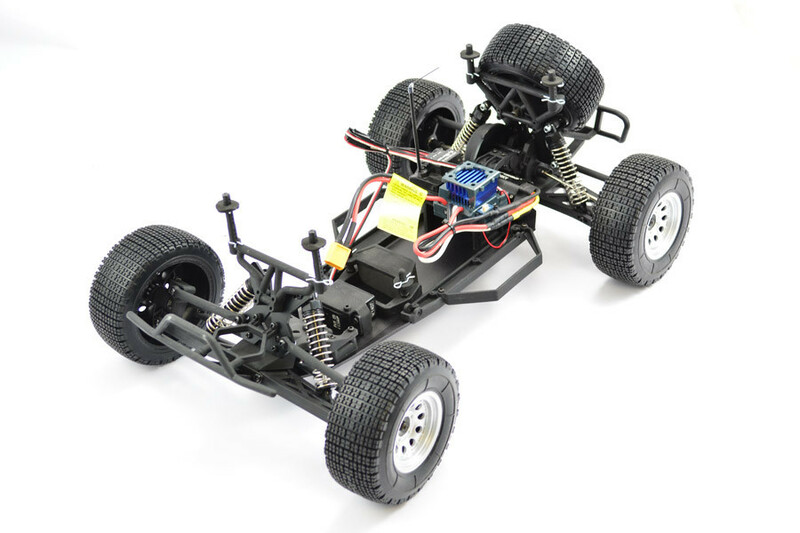 Ready Set – Factory Assembled just add Lipo battery. 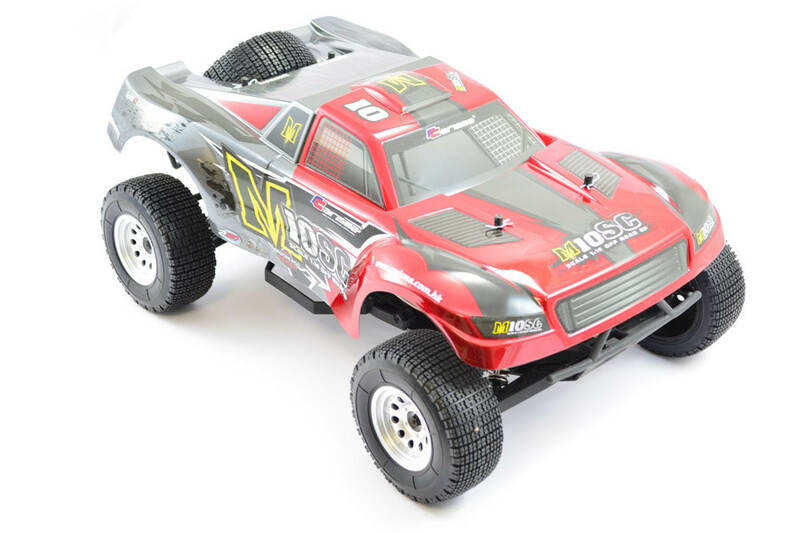 Requires 7.2V NiMH or 2S 7.4V LiPo battery and suitable charger.